In the field of medicine, there are always risks involved to one’s health or life if that person undergoes any type of medical treatment. Some health complications resulting from medical treatment are unpreventable. However, others are entirely preventable if the person is administered proper care. When a person suffers an entirely preventable complication during or after immediately receiving medical care, it is likely that medical malpractice caused this complication to develop. 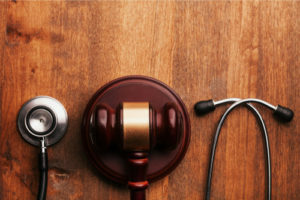 Below, we provide you with a list of the most common types of medical malpractice so that you can better determine whether the health complications you develop after receiving medical treatment were unpreventable or whether the doctor’s or medical staff’s improper care caused your complication. Whether patients are undergoing surgery or simply visiting their respective family doctors because they are sick, it is common for treating physicians to prescribe medication to treat their condition or illness. When this occurs, it is imperative that the physician prescribe both the correct medication as well as the correct dosage of said medication. Otherwise, harm or death can result to the patient. If a treating physician makes an error in calculating the dosage of the medication to be administered to the patient or fails to prescribe the correct medication and damage to the patient results, this error typically constitutes medical malpractice. Moreover, even if the treating physician prescribes the proper medication and dosage of medicine, hospital or doctor’s office staff may not administer the medication properly or may even administer a patient another’s person’s prescription. If this occurs and harm results, the harmed patient will likely be deemed a victim of medical malpractice. In addition to prescription and medication error, a surgeon or the surgeon’s staff may also commit errors before, during, and after an operation. These surgical errors include failing to ensure that the correct procedure is being performed on the correct patient, failing to properly “prep” a patient for surgery, failing to properly sanitize surgical equipment used during the procedure, accidentally puncturing an organ or damaging a patient’s blood vessel(s), leaving surgical equipment inside the patient’s body, and failure to perform adequate post-procedure checks. If any one of these errors occurs, the patient would likely be able to hold the surgeon or the surgeon’s staff member liable for medical malpractice provided the patient proves that he or she was harmed in some way by the error. Another type of medical malpractice that commonly occurs is misdiagnosis. Misdiagnosis occurs when a treating physician either diagnoses a patient with the incorrect illness or disease or fails to make a diagnosis altogether despite the fact that the patient is suffering from an illness or disease. When misdiagnosis occurs, it can result in the patient undergoing unnecessary and, potentially, dangerous medical treatment. It can also result in the patient’s initial illness or disease worsening because the patient is not placed on the correct treatment plan to treat the actual illness or disease he or she has developed or contracted. Another common type of medical malpractice occurs when a doctor or the doctor’s staff fail to adequately administer medical care to a mother and the baby before, during, and immediately after childbirth. Failure to administer adequate medical care in this context can cause injury to both the mother and the baby and can result in two separate medical malpractice claims: one for the harm to the baby and one for the harm to the mother. While some childbirth injuries may be considered unpreventable and, therefore, not the product of medical malpractice, childbirth injuries resulting from medical malpractice can occur if the doctor fails to diagnose the mother with an illness that can affect the pregnancy or birth, if the doctor fails to diagnose potential birth defects before the birth, if the doctor fails to properly and timely perform a necessary cesarean section, if the doctor fails to properly react to signs of fetal distress, if the doctor fails to properly and timely deliver the baby in a vaginal birth, and if the doctor improperly uses surgical equipment during delivery. Were you or a loved one injured due to medical malpractice in New Jersey? Then you need to talk to an experienced medical malpractice lawyer as soon as possible for guidance on how to proceed. The East Brunswick medical malpractice attorneys at Rudnick, Addonizio, Pappa & Casazza PC are prepared to assist you with your legal claim. We represent victims of negligent surgeons, doctors, nurses, and pharmacists throughout New Jersey, including East Brunswick, Manalapan, Middletown, and Edison. Contact us today at (866) 567-0135 or email us to schedule a consultation. Our main office is located at 197 State Route 18 South, Suite 3000, East Brunswick, NJ 08816, and we also have an offices in Hazlet, NJ.